This Cheesy Roasted Garlic Chip Dip is so ridiculously delicious! Grab a bag of your favorite chips – mines any form of kettle chips- and start dipping! 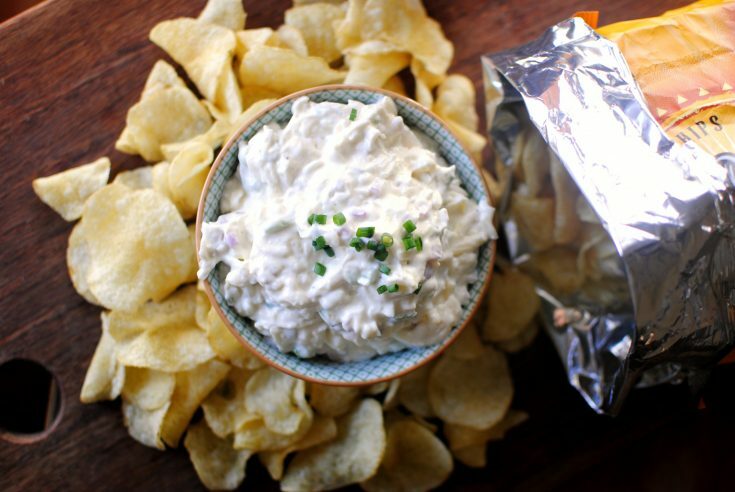 Whether it’s a football game, poker night or movie and wine night with the girls… the chip and dip combo is the best and easiest form of entertainment food. 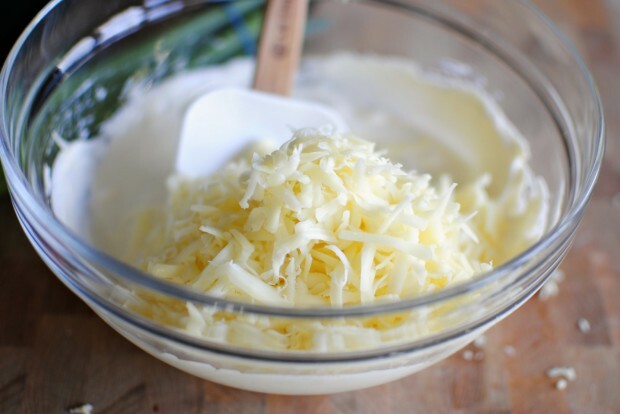 Now, throw cheese into the dip and well … forgetaboutit. This dip has it ALL. And by “all” I of course mean cheese. Jarlsberg. Because it reminds me a lot of Gruyere and melts like a dream if you decided to, oh let’s just say… sandwich it on some bread and maybe throw some sliced apples or pears and grill it. Oh yes. Jarlsberg is new cheese-love of my life and is permanently on my list of favorite cheeses. Yes I have a list. And no I’m not ashamed. One day I just decided to throw it in alongside shallots and green onions and roasted garlic. Then all of a sudden, I found myself elbow deep into the bag of chips, digging for crumbs and wondering what the heck happened, where did all the chips go? So, my friends… pretty simple ingredients here. A little cream cheese… a little mayo and Greek yogurt as the base. But what happens next is almost unforgivable… almost. Next start by cutting off the top third of a head of garlic, exposing the garlic. Then sprinkle the top of the garlic with salt, pepper and a drizzle of olive oil. Lastly cover the baking dish with foil and popped it into a hot 400° oven to roast for about 40 minutes. AHHHHHH. I wish you could smell this! Then squeeze head of garlic (once it had cooled down a bit) and removed any hard-to-get cloves with a fork. Next, take a fork and mashed the bejesus out of ’em. Fun. Times. Then, in a medium bowl I combined; a half cup mayo, a quarter cup of Greek yogurt and 4 ounces of cream cheese (softened at room temperature) and mixed those until smooth and silky. 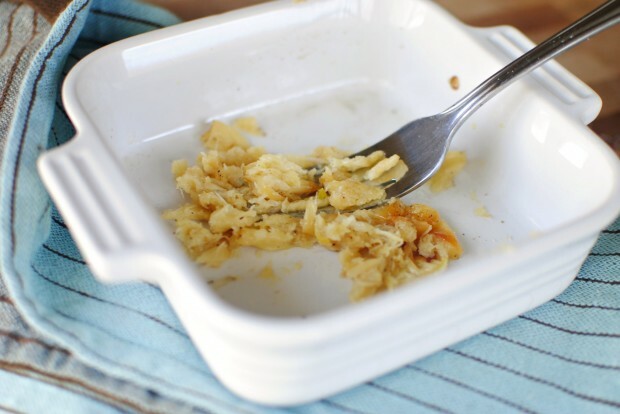 Next, on your box grater, I grated a glorious heaping cup of Jarlsberg. Thenadd it all to the bowl. Keep goin’ it gets better. 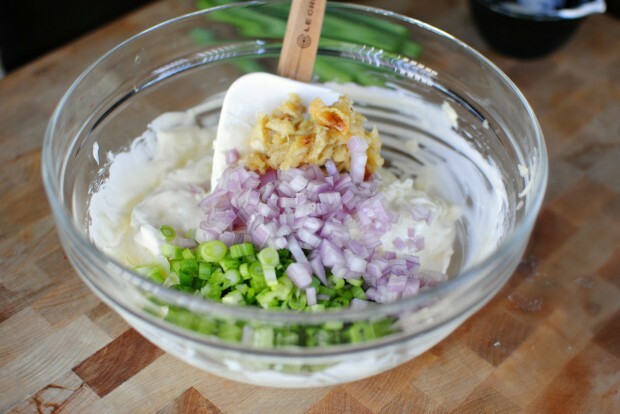 Next, slice up a quarter cup of green onions and finely diced up a large shallot. Then I added those into the bowl along with the smashed roasted garlic. But this was after I seasoned it with salt and pepper annnd just before I ate almost the entire bag of chips. Ohhhhh this dip is GOOOD! 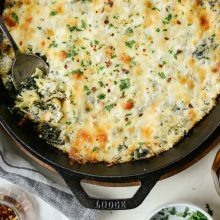 Creamy, garlicky and totally addicting. It reminds me of the classic French onion dip but with a cheesy nutty twist. 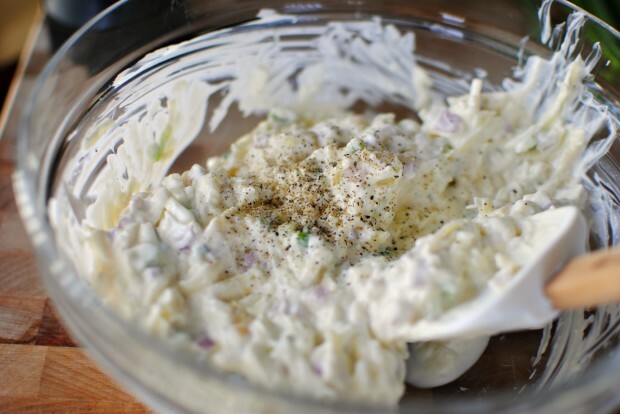 This dip will definitely make for an excellent appetizer for any festivity! Enjoy! And if you give this Cheesy Roasted Garlic Chip Dip recipe a try, let me know! Snap a photo and tag me on twitter or instagram! 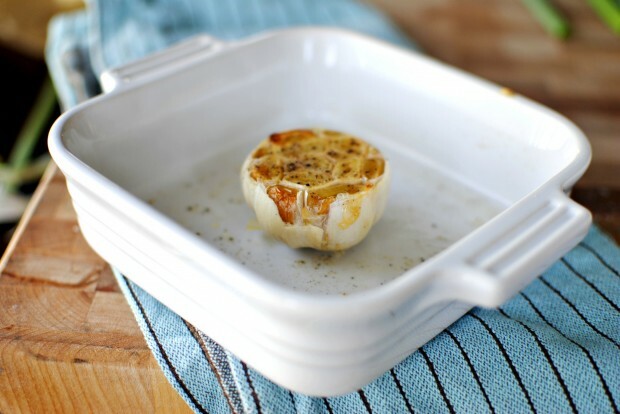 Cut off the top third of a head of garlic and place it in a small oven-safe dish. 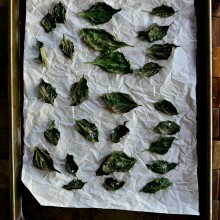 Season with salt, pepper and a drizzle of olive oil, cover the dish with foil and roast fro 40-45 minutes. Let head of garlic cool before removing all of the roasted garlic cloves and smashing them with a fork. 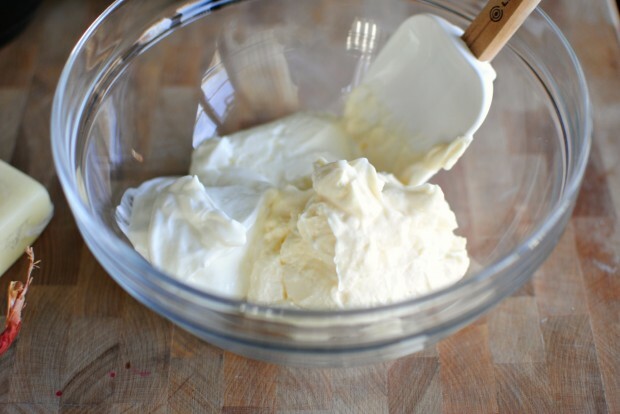 In a large bowl combine; mayo, Greek yogurt and cream cheese until silky smooth. 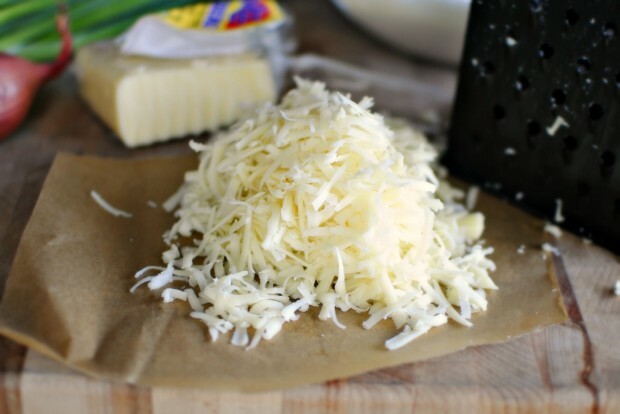 Add in the cup of grated Jarlsberg, sliced green onions, finely diced shallots, smashed garlic, salt and pepper. Stir to combine. 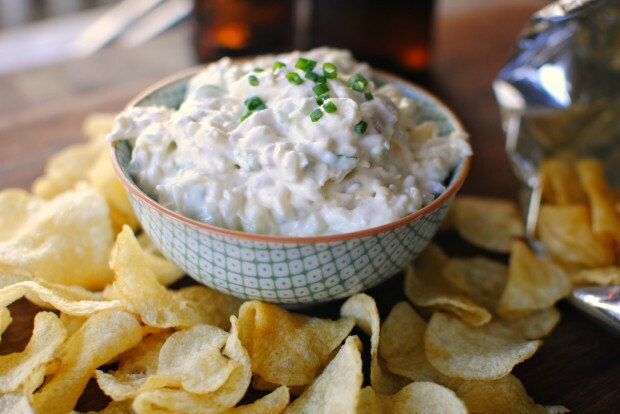 This dip can be devoured right away or let chill in the fridge until ready to serve. Serve alongside extra crispy kettle chips. Ha-ha! This post made me crack up now I gotta make this dip! This definitely sounds better than the first time I heard about chocolate and potato chips, but that actually turned out pretty good too. Can’t Buy Me Love?! Haaaaa! And your dip looks yummy too! Say whaaaaat? This sounds awesome! This is a definite Super Bowl recipe, for sure! Or holiday potluck, or weekend snack, or Grey’s Anatomy marathon recipe. If you tell me it has cheese and roasted garlic, I’m all over it! Looks great! 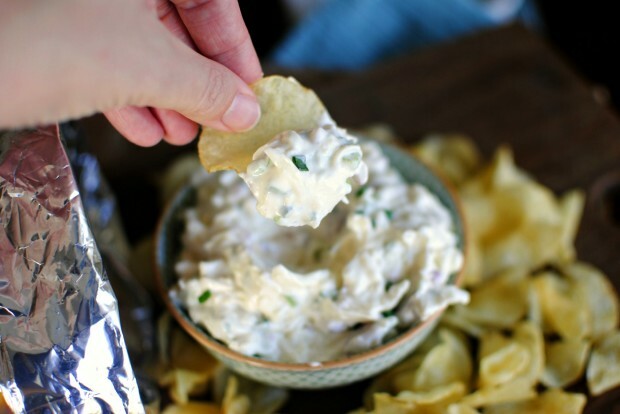 i am truly drooling right now…chips and dip are one of my FAVORITE things ever! Now THIS is a dip! I wouldn’t be able to control myself around this dip! 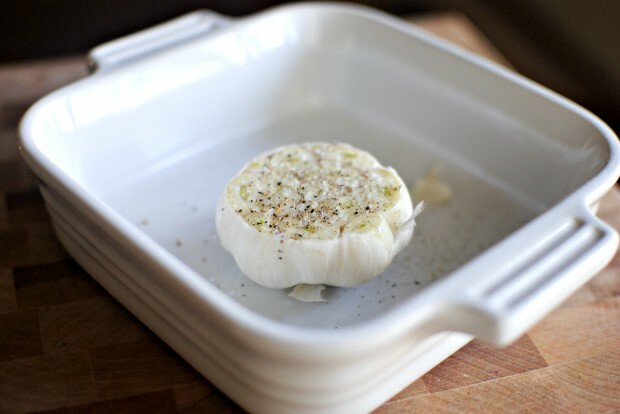 That picture of the garlic in the baking dish…I die. Nice shot lady! 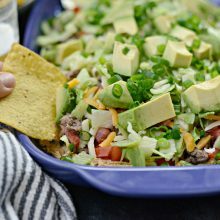 I love any type of dip and this one makes me want to dive in – pronto! Chips and dip are my weakness… Add roasted garlic, and make those chps he kettle variety? I’ve died and gone to food heaven. 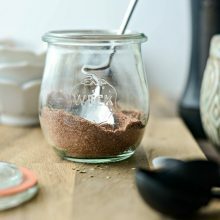 Totally making this for movie night this weekend! For me, dip is dangerous. Like, I can NEVER pull myself away from it. Laurie, it’s a problem. I am literally obsessed with dip – in any and every form!!!! 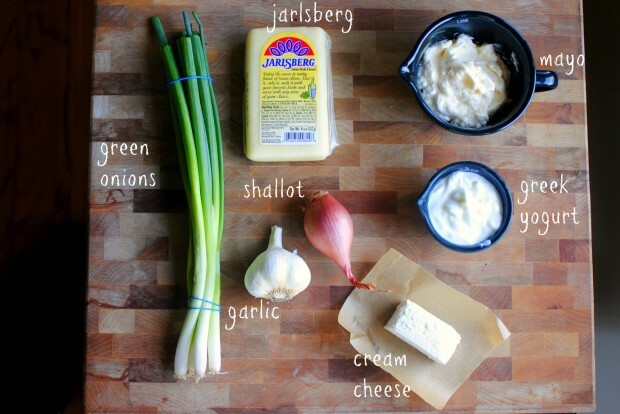 Jarlsberg cheese is one of my FAVORITES ever, I have got to make this. I am drooling. yep, that’s drool. ps: kettle potato chips – best ever. SO my kind of dip. LOVE it. This is my kinda dip! 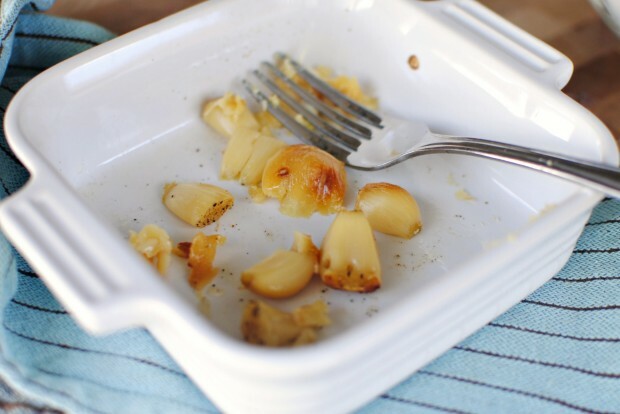 Roasted garlic and cheese….what more can a girl ask for? 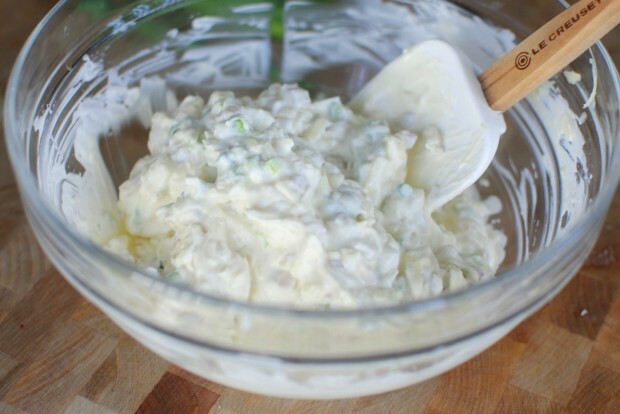 I can’t wait to try this dip….it looks and sounds Amazing! Love! This is my kind of dip! 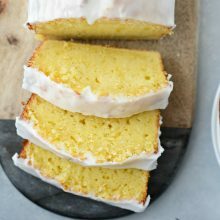 Did you think at all of baking it? Would that work? I just can imagine it so warm and melty! It did cross my mind! I haven’t baked it yet… but if I did? I’d sprinkle some extra Jarlsberg on top! YUM! 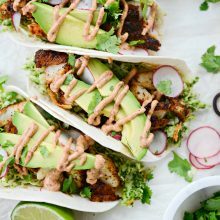 Sounds amazing and delicious! 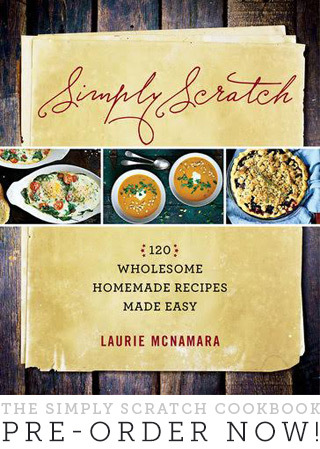 Definitely adding this to my holiday party recipe list…. love Jarlsberg cheese!